As we've stated several times throughout the past few months; laptops are changing rapidly. What was once a pretty stagnant segment where changes would be seen every two-three years has now become an exciting terrain where anything is possible. It used to be that only the most expensive of the bunch had great features but nowadays you can buy a pretty great laptop that's a mixture of mid and high end specs for a bargain price. Today we're going to tackle one of such laptops; the recently released HP Pavilion 15-ayo91, a very affordable alternative to high end models. HP's latest venture into the touchscreen laptop segment packs a 6th generation Core i3 processor, 1TB of hard drive and a latest generation RAM module. All of this on a signature edition laptop which means you finally have the chance to use a notebook that's not stuffed with unnecessary apps that you didn't ask for nor actually want. Without further ado, let's see what all the hype's about on this review of the HP Pavilion 15-ayo91. If there's something HP knows how to do its to deliver a notebook with solid build quality. The same can't be said for many of its competitors but it always seemed as though HP paid a little extra attention into the materials it employed when developing a new notebook. This isn't to say we've got premium grade materials on the HP Pavilion 15-ayo91, but it's sturdy plastic provides solid ergonomics and its trackpad in immensely comfortable for day to day usage. The display at hand is a 15.6 inch HD resolution display with touchscreen technology and support for up to 10 fingers. Honestly, we don't care all that much for touchscreens on laptops that aren't convertibles but as long as it doesn't add to the price we're all for it. A big distinction between this model and most other 15 inch laptops within its price range is weight. To be precise, this particular laptop weighs just 4.68 pounds, that's considerably lighter from the typical 5-5.4 pounds that you'll find on most 15 inchers. To be perfectly frank, the processor on this model isn't gonna break any records. It's not a 7th generation i7 with a massive turboboost speed or anything like that. No, within the HP Pavilion 15-ayo91 in review we'll find an Intel Core i3-6100U, this is a dual core chipset with a base speed of 2.3GHz and 3 MB of Intel's smart cache. As we said, no barriers where broken. That said, HP is pretty smart when it comes to picking out its processors and this is no exception. Sure, you're not gonna get a job at NASA searching for the next planet for humans to live on with this laptop but you'll get your standard tasks done without a hitch. What do I mean by standard? Well, that would be your basic web surfing, video streaming, image and video editing as well as some light and heavy coding using IDE's such as Eclipse or XAMPP. However, what this laptop lacks in CPU power it more than makes up for it in RAM, placing 8 GB of DDR4 SDRAM clocking in at 2133MHz. That's the latest generation RAM and one you're not likely to see on many of its competitors. What do these 8GB give you? Well, in short, they give you the freedom to do some intensive multitasking without having to worry about load times. Whether you're a poweruser who has 10 programs running at any given time or a more "modest user" who doesn't do much more than browse the web and edit a couple of documents, 8 GB should provide you with more than enough power to get through your day quickly and swiftly. Finally, if you're looking to do some serious gaming on this laptop then you should likely look elsewhere. With an Intel HD 520 graphics chip this laptop will do a fine job at streaming high quality video and editing your home movies but anything beyond that level of graphically intensive tasks should be left for laptops with a dedicated graphics chip. What's battery life like? And storage? Touchscreen laptops don't really excel when it comes down to battery life and the HP Pavilion 15-ayo91 is no exception. Not that it's doing badly in that department it's just that it isn't doing particularly great either. Getting to the point; we've got 6 hours of battery life on a 3 cell battery, and that's a measure taken by HP. If we where to set up a more realistic scenario with brightness set to a maximum and some light web browsing (not video) through a WiFi connection, you could easily expect battery life to be around the 4-5 hour mark, not too shabby. When it comes down to storage, there's no shortage of it with a 1TB hard drive working at a standard speed of 5400 rpm. It's not as fast as an SSD module that's for sure but it's also not nearly as expensive. Of course! We didn't cover connectivity. In this sense we're pretty much covered with 3 USB ports (1 USB 3.0), an HDMI output to connect to a TV or external monitor, an ethernet port to log online through a faster and more secure connection, headphone jack, WiFi b/g/n and, of course, Bluetooth 4.0. Obviously you've also got a DVD drive as well as an HD webcam. However, we should point out that our favorite feature is surely the fact that it's a signature edition laptop because you simply can't imagine the difference it makes when you turn on your laptop for the first time and it's not jam packed with bloatware that not only do you not want but that will actually slow down your laptop's performance. The verdict is in: Is this laptop worth buying? This is not an exceptional laptop, our review of the HP Pavilion 15-ayo91 has proven that. It's a "good laptop" and that's about what we'd expect in this price range. It's best features are its touchscreen display (for those who want one), its lightweight design, its 8 GB of DDR4 RAM and its status as a signature edition laptop. Everything else is pretty much standard and while build quality is pretty good when compared to other similarly priced laptops, it's not a game changing laptop. That said, this is a very good laptop and one that won't disappoint you unless you're very demanding and you're in need of a laptop that can handle very resource intensive tasks like gaming and designing. 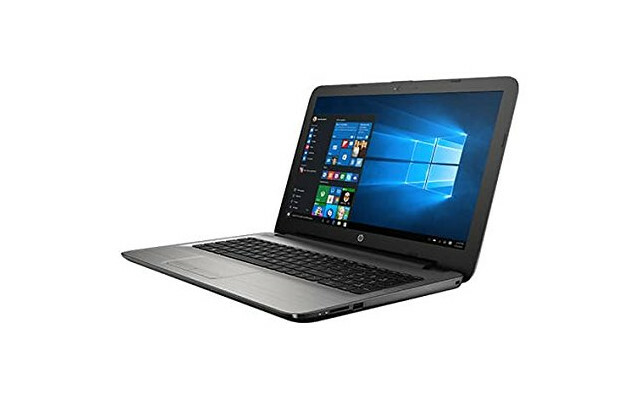 Other than that, if you're looking to buy a laptop to study or watch movies, browse the web and do some programming then this is an excellent choice at an even better price.